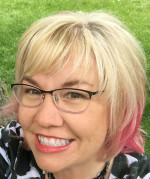 I am delighted to be participating in the holiday blog series “Holiday Bake, Craft & Sew Along“. Each day this month a blogger will be guest posting over at A Southern Fairytale sharing holiday themed recipes, treats and sweet gift ideas. I’m really honored to be included, the list of bloggers participating is such an amazing collection of talented folks! Hop on over to the Craft portion at According to Kelly, for 30 days of Crafty gift inspiration and the sewing portion at Cindy’s blog, Skip to my Lou, for 30 days of Sewn Gift inspiration. Today is my day to share in the Holiday Bake, Craft, Sew Along! 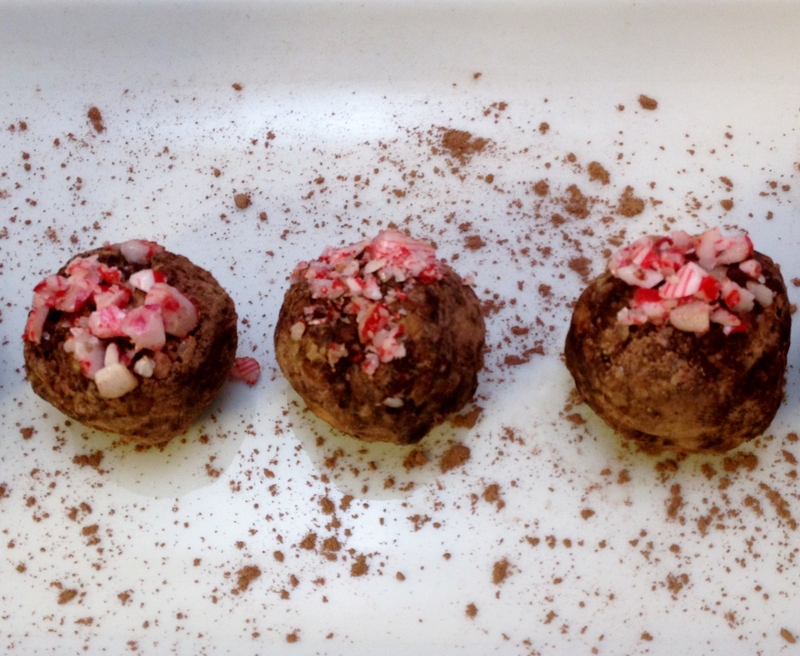 I am sharing Candy Cane Truffles, one of my favorite holiday treats when I want a little sweet something on the run. It’s not wrong to pack a little goodness like this in your lunch, right? Next, process cashews, cherries, chocolate chips and 2 candy canes until they are finely chopped. Stop before the cashews turn into a powder. In a mixing bowl, combine the dates, cashews, cherries, chocolate chips and candy canes. Add in the vanilla and sea salt. Mix very well with your hands until everything is well incorporated. This is like kneading dough. You'll have a very sticky mixture. Roll into 24 equal sized balls. Roll each ball in cocoa powder. If you like a lighter coating, use a pastry brush to remove a bit of the cocoa powder. Finish by lightly pressing top into remaining 2 crushed candy canes. These keep well in an air-tight container for 3 to 4 days, a week or so in the refrigerator and can also be frozen if you'd like to get a jump on your holiday food prep! This is one of my favorite on-the-go holiday snacks and they pack very well in a lunchbox. I tuck a few into my car for long days of holiday shopping. Enjoy! I would love for you to join me for more gluten-free recipes and adventures on Facebook, Twitter and Pinterest. Thanks so much for reading my post.